Our close proximity to the New York Metropolitan area, wide variety of transportation options and unique accommodations make Westchester a convenient and affordable destination. With more than 35 full-service and specialty hotels, 7,000 hotel rooms and more than 300,000 square feet of meeting space, Westchester is ready to accommodate all aspects of your visit. 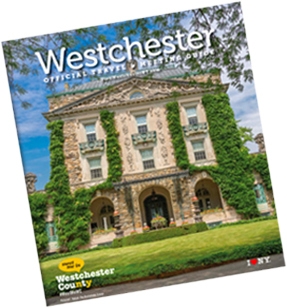 A top notch culinary scene, upscale shopping, historic sites, and exhilarating outdoor recreation, are all reasons we say, “Meet Me in Westchester.” For more ideas and tourist information, contact Westchester County Tourism & Film at (914) 995-8500 or toll-free at (800) 833-9282. We hope you enjoy your time in Westchester.